Fall is here! Autumn is a wonderful time of pumpkins, changing leaves and cooler temperatures. Many of us love this season because of all the fall family traditions (and yes, of course, there’s all that lovely pumpkin spice flavor in the air). 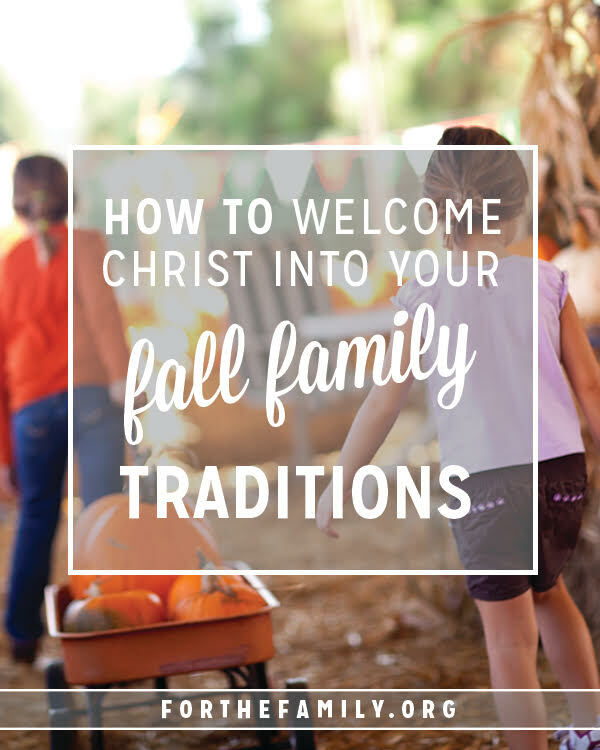 But did you know that easy and fun annual fall traditions such as pumpkin carving and celebrating Thanksgiving are an excellent opportunity to share with kids about Christ? I want to share with you how you can turn two cherished fall traditions into easy ways to share about God with your kids (these free fall printables make it incredibly easy). Of course there are many, many incredible fall and thanksgiving family activities, but these are my favorite for growing my family closer to God every year during fall. I first heard of the Pumpkin Prayer (sometimes called the Pumpkin Gospel) when my teenage son was a toddler. I can’t remember exactly where we heard about it (probably at a fall harvest event at my church) but I was seriously impressed at how carving a pumpkin really did parallel so many parts of the gospel message. Although our family doesn’t celebrate Halloween, our kids still love choosing a pumpkin, scooping out the inside, and then carving intricate designs on the front. We gather everyone outside, hand each child a pumpkin (and a plethora of newspapers to catch all the goop!) and enjoy carving pumpkins together. Step 1: God knows me and chooses me. Step 2: God cleans me inside and out. Step 3: God changes me and makes me new. Step 4: God puts His light in my heart. Share step 1 when you’re talking about choosing pumpkins (or how each pumpkin is different, just like each person is different). Share step 2 when you’re washing down the outside of the pumpkin and cleaning out the seeds and pulp (an example of how God wants to clean us on the outside and inside too). Share step 3 when you’re carving a design on your jack-o-lantern (God gives us a brand new countenance and “look” too when we come to Him). Share step 4 when you place a candle in your completed pumpkin (God wants us to let His light shine in our hearts, especially when we’re in dark places). We also share a few Bible verses as we share each step of the Pumpkin Prayer. And at the end, you can lead the child in a prayer of salvation (if they feel led). You can share the Pumpkin Prayer in your family’s personal pumpkin carving time; or why not invite a few friends over (or host an event at your church) where you can share the Pumpkin Prayer as a group? Go here for free color resources of the Pumpkin Prayer, including Bible verses for each individual step. Isn’t it wonderful that Thanksgiving gives us such a great opportunity to share with our kids about how to have a life of gratitude? I deeply appreciate Thanksgiving’s warm welcome to discover contentment and thankfulness (especially since, unfortunately, Christmas has become a commercialized event for so many). As a way to ready our hearts for Thanksgiving Day, for the past few years our family has hosted a simple family Bible time about thankfulness for the week before Thanksgiving. We study a few verses each day about gratitude and then talk about how we can apply these truths to our lives. Some scriptures that we’ve used in the past during this Thanksgiving Bible study include Bible verses like the ones in this post. Using the 5Rs Bible Study Method, we read, rewrite, restate, relate and respond to one of these thankfulness verses a day. 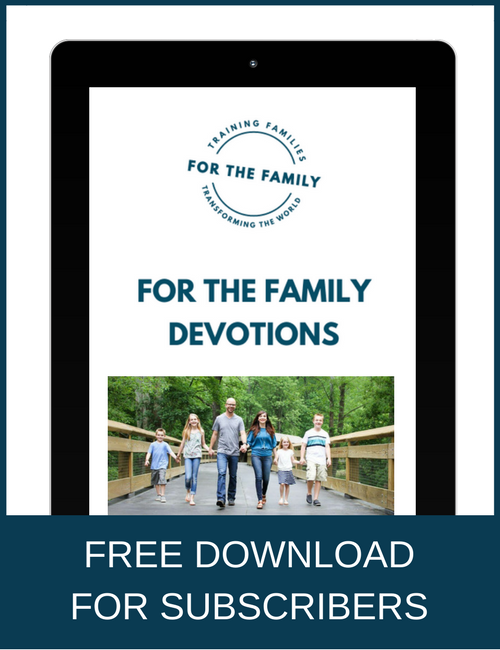 If you’d like an easy way to host a Thanksgiving Bible study time with your family, go here to download a free 5-day Thanksgiving family study. This Bible study not only includes devotionals for each day but it is perfect for individual study or group study, and is great for kids of all ages. Talk about harvest and how this time of year we celebrate the joy of hard work coming to completion in the harvesting of all those yummy fall vegetables such as pumpkin and squash. Ask kids what good “fruits” they see God cultivating in their heart, what “fruits” need more attention, and what “fruits” they see coming ready for harvest. Share about the cycle of leaves on trees and how God changes readies the trees for winter. Talk about how all spring and summer the trees have been gathering energy from the sun through their leaves but that in fall they begin to enter a season of rest. 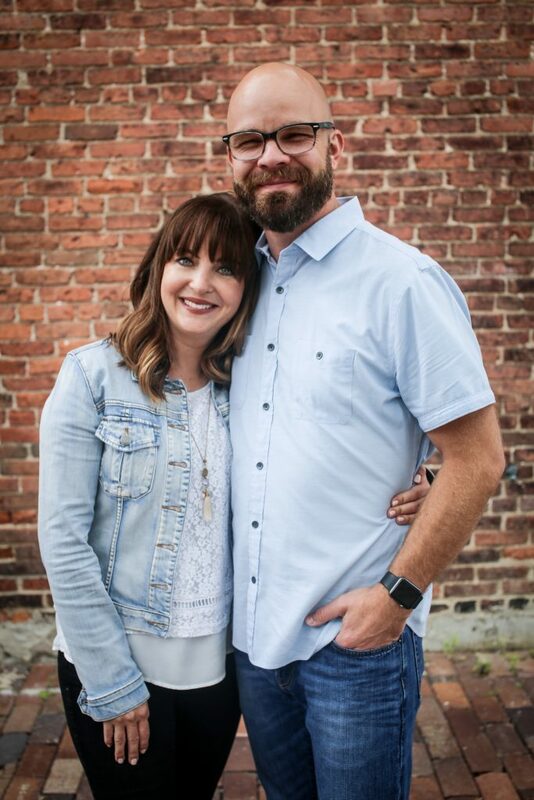 Ask them how they’ve seen God lead your family through different life seasons. Ask them to describe the type of season your family is in now (fall, winter, spring or summer) and why. Enjoy the wonderful fall season and its unique opportunity to share with your family about God’s rich truths! In other words, Christ is already there, not in the center but permeating everything, waiting to be recognized in our activities and most of all awaiting our response. Great post.